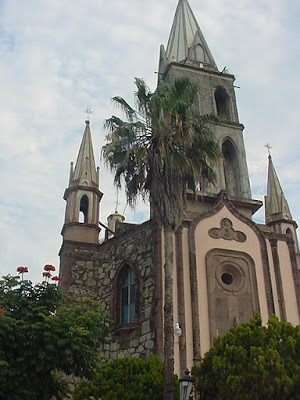 The city of Autlán de Navarro (or simply Autlán) is located in a valley at the foothills of the Sierra Madre Occidental, in the south coast region of the state of Jalisco. 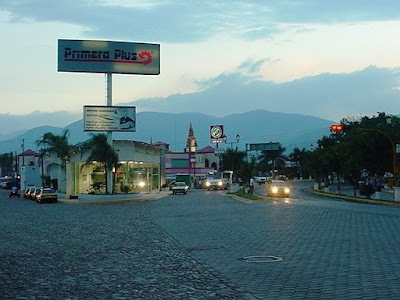 Autlán is referred to as “La Puerta de la Costa” (Door to the Coast) because of its warm, humid climate and its geographical location, as an important stop in the highway from the Pacific coast to Guadalajara, the capital of Jalisco. 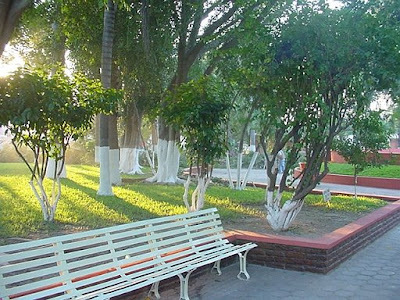 Because of it's location, Autlán is a very important regional commercial and agricultural centre for the state, as well as the location of the University of Guadalajara’s south coast campus. 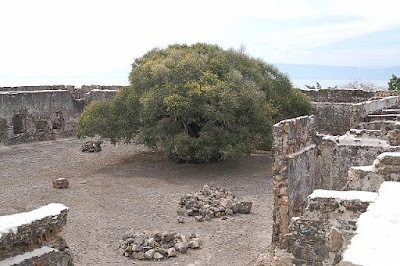 Another town that has some feel of the Colonial Era but has not been preserved as such so new is mixed with the old. It's a good sized town with lots of downtown activity - market, plaza and a number of chruches. The bull ring (Plaza del Toros) is close to downtown and one of the fanciest ones I've seen. I really should have tried to get a few fotos of it - even if only the outside. 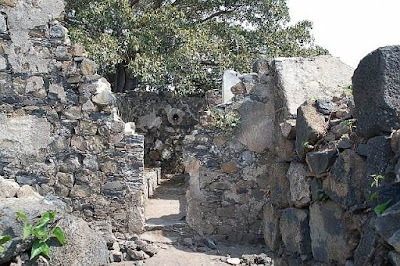 After coming out of Ayutla onto highway 80 there is a large drop in elevation into the valley where Autlan is (those famous hair-pin turns). 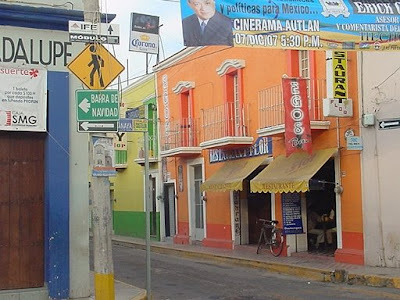 I cruzed downtown and then stayed at Hotel Autlan near the bus station - nice place for about $40us. The next morning I walked around town, had breakfast and headed downhill again towards Purificacion and La Huerta (more hair-pin turns). 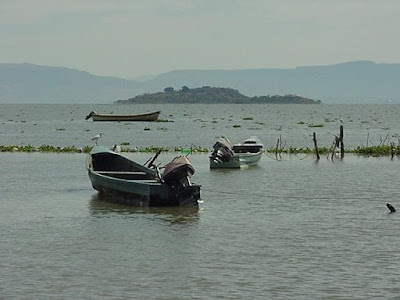 Mezcala Island is a few kilometers southeast of Mezcala on the northern shore of Lake Chapala. It is also known as El Presidio. From 1812-1816, a small band of rebels held off the Spanish army and navy against overwhelming odds. Tired of the humiliation the Spanish finally negotiated a peaceful surrender with the insurgents. 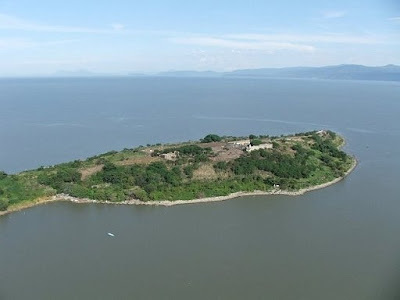 The island then became a Spanish prison for many years.